Adjustable shelves exceed industry standards with &frac58;" thick multi-ply hardwood Plywood & edge banded with wood tape. 6mm bore fluted metal shelf clips are adjustable on 2½" increments. Back panels are ½" thick multi-ply hardwood plywood - routed, glued and nailed in cabinet. 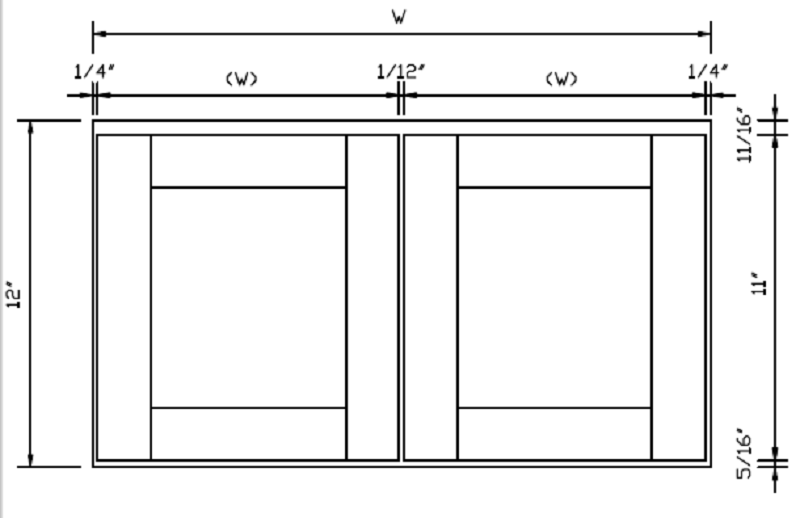 ¾" high density fiber doors with flat panels. Full Overlay, Concealed Hinges with 110 degree opening and soft-closing dampers.